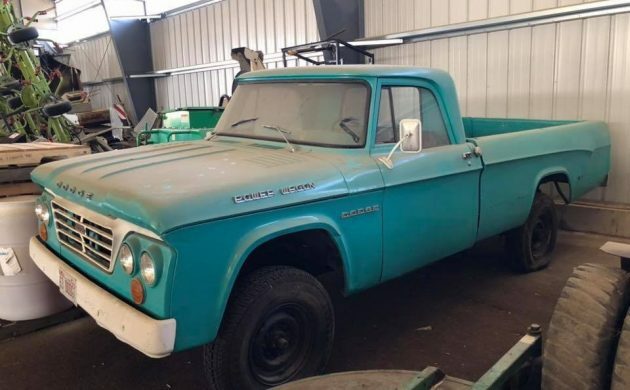 It really does look like a case of giving it a wash, getting some air into the tires, and this Dodge Power Wagon could be ready to go. Of course, that might be a bit simplistic. The description is a very short of both details and photos, so there might be a bit more to it than that. Barn Finder Danny M spotted the Power Wagon for us, so thanks so much for that Danny. 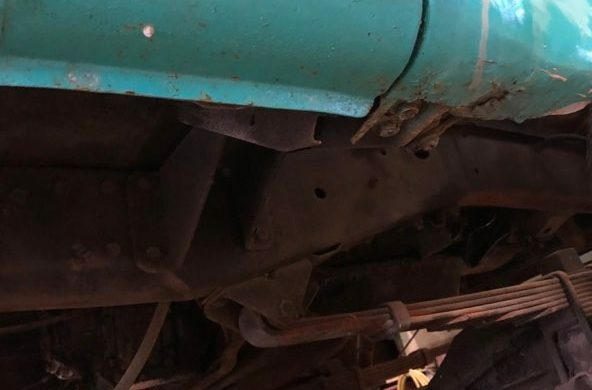 This Power Wagon is located in Monroe, Wisconsin, and the owner claims that it has only covered 37,193 genuine miles. 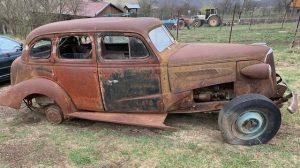 It is listed for sale here on Facebook, with an asking price of $7,500. 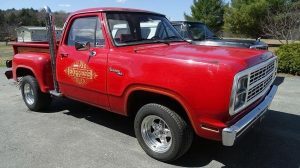 If this Power Wagon is original, then under the hood should be a 225ci slant-six engine, backed by a 4-speed manual transmission. Given the claimed mileage, I would assume that this is all original. Those old slant-sixes were a tough engine, and at 37,000 miles, it would be barely run-in. The owner makes no mention about whether the engine runs, so we’re completely in the dark on that. 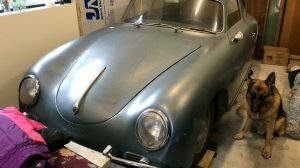 Similarly, the owner states that the interior is finished in black, but there are no photos or any other information to help us out here. 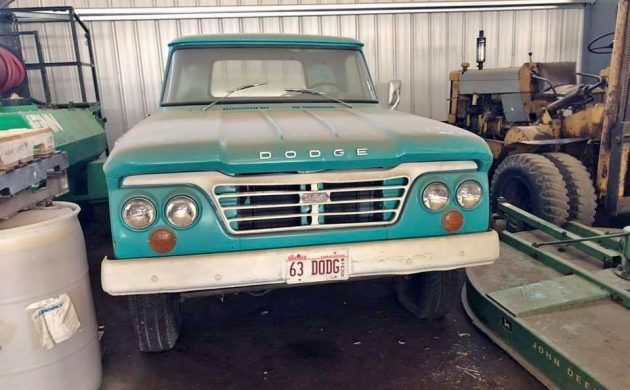 One thing that I do find interesting is the fact that the Dodge is listed as a 1964 model, but the vanity plates indicate that it’s a 1963 model. I know that we have readers who love these old Power Wagons, and I really don’t blame them. They are a vehicle that looks like it means business, and they are a tough piece of equipment. What will be interesting is to see if any of you pursue this with a view to buying it. If you do, let us know how it goes! Man, this FB ad is worse than CL. And there’s no excuse for it. I’ve seen FB ads with a bunch of pictures. Neat truck, very few of these were sold, but I think more 4×4 Power Wagons were sold than 2 wheel drive models. ( there is a 2 wheel drive Dodge like this 2 blocks from me just sitting) People still honored the Power Wagon name even though they looked nothing like the originals. Great find, and there were no changes in these Dodges, so no help there. The mileage is low because they are pure torture to drive. Love the slant six, but if I owned it, I’d park it too. My Dad’s Company owned some of these, I don’t recall how many though. I do remember talking to his service manager about them and they all had the slant six and a four speed with 4WD. They were basically beat to death on gravel roads and at construction sites. I learned to drive at highway speeds on them. Armstrong steering, you bet, but on wash-board, it allowed for easier steering. Traveling sideways on washboard roads was great fun. On sharp turns, you could use the swing on the rear-end to get you around the corner. What a gas!!! I remember yanking on the choke knob and getting another 2-3 miles an hour, great fun!! I reminisce about them, but want to have one, no way. Not now, not ever!! ?? Dodge’s Power Wagon in those years ran only the slant six??! I find that hard to believe! Not even the 318 or 361? 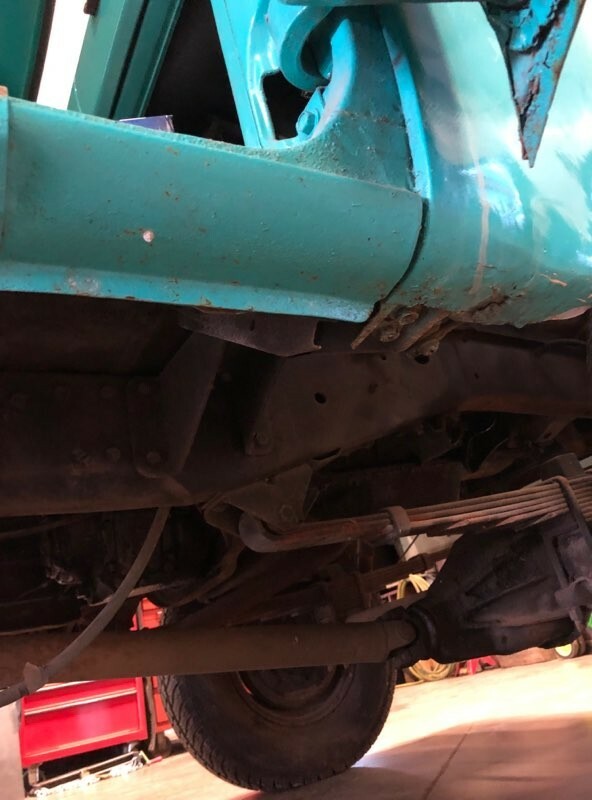 Too bad for seller – a much more complete description and pictures would/could result in a lot more cash for the truck. Like does it run and drive – not hard to include this info..! I owned a 68. Mine was a long bed with a pumped up 318. That was one hell of a truck. Being young and dumb I took it places I probably wasn’t supposed to be able to do. Arizona offers some really challenging four wheel drive opportunities. I traded it up for a new 76 Chevy 4 by 4. Big mistake. The Chevy was a POS. Ha! Monroe, going there today for some bbq ribs and a Huber Bock. I know of the seller. I just left a voice mail to a buddy that works for him. I am sure he has seen it. Naturally I can take a look if someone is serious. After the ribs and beer. Just heard back from my buddy. A duece and a quarter in front of a 4 speed. He also said about 20 bites on it so far. @ NotSure, I saw your post in my Email, not sure why it did not post here. It takes more than 2 beers and a belly full of ribs to put on my rose colored glasses. Great story on the Caddy! Take care, Mike. I deleted the post. Was making a stab at humor but on 4th read through and after I hit submit I decided that it was a waste of reading glasses. Thanks though! Any guesses for the reason the cab to bed body line seems so far off? Tell me how to share photos here. He sent me back a dozen. This fellow is believing in P.T. Barnum to this “inth” degree! 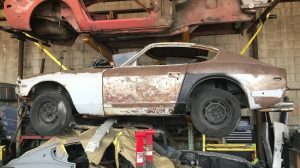 This is a RUSTED-OUT HULK! Was painted a long time ago and now the RUST, EVERYWHERE is busting thru hat old crap-paint. Obviously left out in Wisconsin-Winters for decades. BUYER BEWARE. I told the guy I’d give him $25 and he can pay shipping! I’ve the pics. I’m kind of surprised none of you regulars here haven’t already posted. My son sends my your ads now and again when he know’s it’s something of my taste. So anyway, AP Awh, will try to attach images below here, hope they show up. No workie re posting pics, sorry. Download pix to your computer in jpg format. ( assuming they’re in a cellphone or camera you can connect to your computer to download..
Or send them to your email on your computer..then right click on the picture in your email and hit (save as), Box opens up, give them a name like IH 1.jpg, etc. Hit enter. Remember where you saved them by name I mean, ie, IH 1.jpg. Then hit the button (choose file) below the comment box where it says (Attach Image).Your pix files on your computer will show up as a list in pictures ( look for the IH ones you just saved from your email or phone, camera etc). Pix should show in comment box.